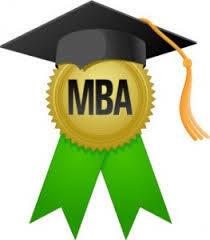 Mba essay is a segment of the application, which you can take under your personal control. Thanks to this paper, the admission committee will have an opportunity to find out some facts about you, as a personality. Meanwhile, application details usually represent facts about your grades, scores and other educational achievements, this essay gives an opportunity for the committee to look closer to you and find out some traits that cannot be represented through grades. Try to think about the things that make you different from other students. You can try to discuss these issues with your friends or relatives in order to focus on the most significant factors. Write a draft for each topic and for each essay. It will help you to pint out the most important facts and omit insignificant ones. Improve the drafts by means of rewriting them, so that I the end you would get the final copy of each essay. When you have collected all the final copies, try to read them all, one after another. It would be better to do it aloud, in order to hear the thoughts you expressed in the essay and it will also help you to point out some mistakes if there are any. We truly hope that these tips will be useful for you, but in case if you are not sure that you are able to handle this task alone, we are here to help you! Make an order on our site and forget about any difficulties with admission essays.